I’ve been hearing the term ‘dry January’ a lot recently, particularly from those who have reclaimed their alcohol as the first day of February arrived. Regular visitors may have drawn the same conclusions from the lack of posting here. It has been a time for taking stock and constructing whisky plans for the year ahead. 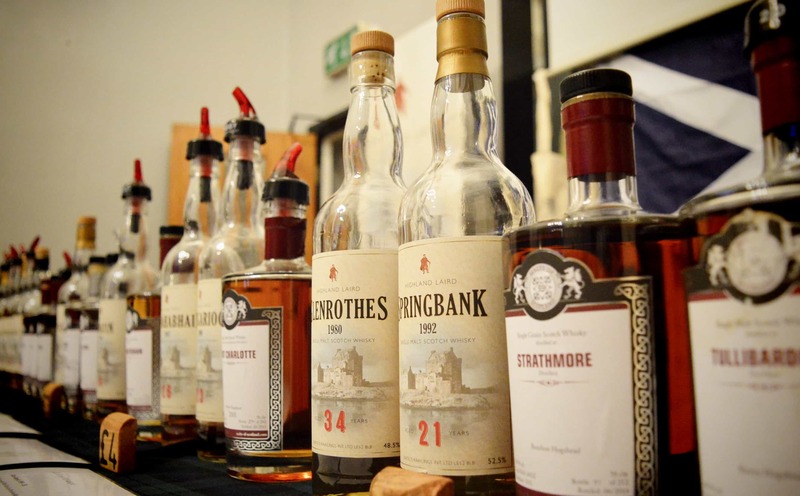 Whisky festivals are ten a penny it seems (Speyside 2013 looks great) and my potential trips less formulated than I really would want. However, Orkney will be happening this year and that means a spectacular tour at Highland Park. I’m also planning on at least taking a few photographs of Scapa which isn’t open to the public so external only I guess! ‘That Boutique-Y Whisky Company’ (yes, dire name) is a new label from the chaps at Master of Malt and is beginning to pick up steam. When the first releases landed from this new label towards the end of 2012, I’ll admit I was slightly dubious about it all. Needless to say I now regret passing over the first Ardbeg release although I still have some reservations. The idea is ingenious though and well executed. For those new to the concept let me explain. For many online retailers and independent bottlers complete casks from distilleries are becoming less widespread and varied. Competition is also becoming fierce and asking prices formidable. Casks are dwindling for say Ardbeg (see the amazing popularity of the MOM Ardbeg when one does appear) and other names that would rather keep their own barrels in house. So while Invergordon is plentiful you’ll be less likely to see a Macallan or even those classic silent names such as Brora or Port Ellen. What casks do remain are either gold dust or incomplete. By incomplete these could be a leaking cask, a partial filling or stock cask recently discovered. I’ve seen a few independent bottlers creating their own very limited release of under a hundred bottles, subsequently followed by the same cask turning up elsewhere with another bottler making use of what’s left. ‘That Boutique-Y Whisky Company’ is a response to that trend. MOM have seen a gap in the market and decided to exploit it whilst having some fun. Taking these dwindling casks and remnants within they create their own blends specific to each distillery in dinky 50cl bottles adorned with cartoon labelling that takes inspiration from the distillery. Their aim is to go around each of the distilleries and part of the intrigue is you don’t know what is coming out next. When Clynelish arrived this week I knew that I had to finally take the plunge. A release of just 197 bottles, each individually numbered and protected by 3 cats who debate the merits of the famous felines of Brora and Clynelish. Entries for this label vary greatly in price terms dictated by the source ingredients and the limited nature of each release. £55 for a 50cl bottle may seem like an over inflated expense but only the creators know the ages of the casks that contributed to this mix. As a fan of Clynelish and one of my favourite distillery tours I had to pick up this wee guy.